Dr. Deborah Romack and Dr. Garrett Mulkey believe prevention is one of the most important aspects of dentistry. Why? It helps stop many dental problems before they start and saves people time and discomfort in the dentist’s chair. Our team at Cosmetic & Family Dentistry of Weatherford offer a variety of services that will give you a smile that is healthy, functional, and only comes to mind when you’re ready to show it off. If you haven’t already, be sure to contact our office to schedule a routine check-up so we can get to work for you! When you consider a visit to the dentist, the first thing you probably think of is a check-up. These routine general dentistry visits include an exam performed by the dentist and a cleaning performed by a dental hygienist. 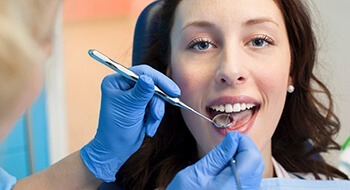 It is recommended that you come in for a general dentistry checkup and cleaning every six months. At these appointments, we’ll also look for any signs of problems that might require further treatment. These conditions could include cavities, gum disease, teeth grinding, TMJ dysfunction, and sleep apnea – all of which we can treat right here in our office! 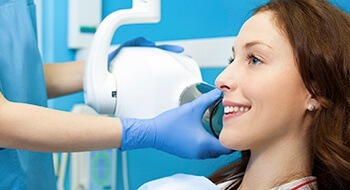 Should we discover any advanced problems during your exam, we offer a number of restorative dentistry treatments as well, and we can fix everything from small cavities to complete tooth loss. If you would like to schedule a visit for yourself or your family, give us a call! 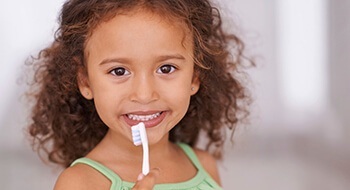 We know that patients today are looking for the convenience of quality dental care for the whole family in one location, which is why we offer children’s dentistry along with our general dentistry services. Children can develop cavities, kids can get gum disease, and children aren’t immune to problems like sleep apnea and teeth grinding. Dr. Romack and Dr. Mulkey have a special interest in specifically treating young children who may not have room for their erupting permanent teeth, and we can work with children at an early age to address a variety of problems. Ours is the only family dentistry practice in the area that also offers orthodontics, which is a common need for children who are developing bite problems. We’ll keep an eye on your child’s development as they age, giving us the chance to intervene at the earliest signs of a problem. We can help protect your children’s teeth with dental sealants. These involve applying a thin layer of a plastic-based composite resin to your child’s back teeth in order to protect them from food particles and plaque. These are the teeth most often missed while they are brushing, and they will give them just a little help while you are still teaching them about oral hygiene. 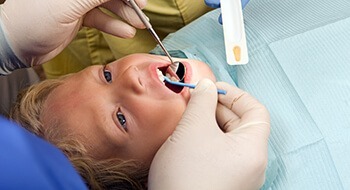 Be sure to ask about dental sealants at your child’s next appointment. Bruxism refers to a condition where a person unconsciously clenches their jaw and grinds their teeth at night. Over time, this can lead to stiff facial muscles and cause irreparable damage to the teeth. 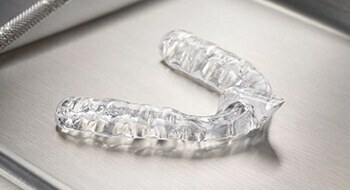 To treat this condition, our doctors can provide you with something called a nightguard. This is a small, custom-made mouthpiece that you would wear each night to bed that will provide a protective barrier between your teeth so you can’t grind them together. This year alone, nearly 50,000 people will be diagnosed with oral cancer. Even more surprising is the fact that about 25% of them will not be tobacco users. The best approach to treatment is to catch the disease early, as the survival rate for oral cancer patients who are diagnosed in the first year is over 80%. In order to make sure you aren’t caught off guard by this terrible illness, our doctors will always perform a visual oral cancer screening during your regular check-ups. If they see anything that causes them concern, they can advise you on what to do next to get the proper diagnosis and treatment. Fluoride has been used for years to battle tooth decay. When it is ingested, it actually replenishes the important minerals that gives a tooth its strength. This is why it is commonly included in toothpastes and public water sources. During your regular hygiene check-up, we’ll give you a fluoride treatment where you’ll rinse your mouth with a highly-concentrated fluoride solution for a few minutes. It’s fast, easy, and it’s one of the best ways we can help you prevent cavities.